**They're HERE! A warm welcome to Valentina, Amore and Oyster! ** Forever Hounds Trust rescued these three greyhounds from the notrious Macau Canidrome. The Macau Canidrome first opened in the 1960s. During its time in operation, around 120 dogs took part in 16 races, five days a week. Huge numbers of dogs were imported to satisfy the relentless demand for racing there. The greyhound racing stadium was notorious for its ill-treatment of the animals that lived and were made to perform there. No greyhound that entered the Macau Canidrome came out alive, and they all suffered abuse, neglect, exploitation and injury. The closure of the Canidrome in Macau, China, in July 2018 was a huge step forward for animal welfare worldwide. However, when the track closed up to 650 greyhounds were left inside. With no rehoming mechanism in place for these animals it was an unprecedented situation that required a worldwide response. Dog rescue charities around the world pledged to help these animals, and the Asian organisation ANIMA has been caring for the dogs locally and preparing them for new homes around the globe. 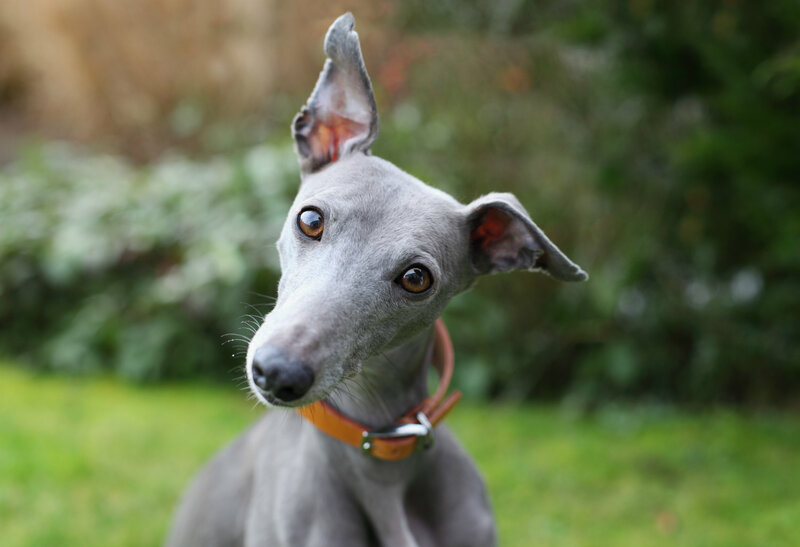 Three of the rescued greyhounds arrived in the UK on Valentine's Day and our now in our care. Jan Lake, Chair of Trustees for Forever Hounds Trust, said: It is highly unusual for us to rescue dogs from overseas, however this is an unprecedented situation which required an unprecedented response. The cost of flying the greyhounds to us has been covered by Yat Yuen, the Canidrome's former management, and the dogs will have had all the necessary vaccinations, checks, tests and been neutered before they come to us. This means they will not need any time in quarantine and will start their lives as much-loved pets in the UK as soon as we can find suitable homes for them. As with all the dogs we rescue, there will be substantial costs involved in preparing our Macau greyhounds for their forever homes. We need your help to cover any veterinary treatment and ongoing behavioural support they may need as well as kennelling and food costs while they wait to be matched to a suitable home. Please donate today. Forever Hounds Trust is the UK's largest independent charity dedicated to the rescue, rehabilitation and homing of abused, abandoned and unwanted greyhounds and lurchers. Forever Hounds Trust operates nationally and homes around 350 of these special dogs every year.